It’s much easier to grasp complex data relationships with a graph than by scanning numbers in a spreadsheet. 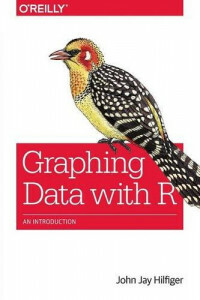 This introductory guide shows you how to use the R language to create a variety of useful graphs for visualizing and analyzing complex data for science, business, media, and many other fields. You’ll learn methods for highlighting important relationships and trends, reducing data to simpler forms, and emphasizing key numbers at a glance. Anyone who wants to analyze data will find something useful here—even if you don’t have a background in mathematics, statistics, or computer programming. If you want to examine data related to your work, this book is the ideal way to start.